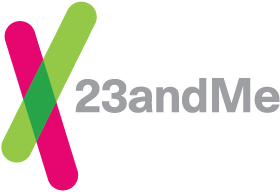 23andMe aims to make and support scientific discoveries to advance our understanding of the role of genetics in many traits and conditions. We strive to publish those discoveries in scientific journals, and help pave the way towards prevention and treatments. By participating in 23andMe research activities, you contribute valuable data that helps us in this objective. At the same time, you can learn about some of our research findings and how your answers compare with other participants. Research activities (surveys, questions, tests) are accessible through the Research tab located at the top of your homepage. No, your participation in 23andMe Research and responding to any survey, quick question, or test is completely optional. You can change your research consent selection at any time from within your account settings. By comparing people who do and do not have a specific condition or disease, genetic research can help identify new or unexpected factors that influence when and how a disease develops and whom it affects. This knowledge can lead to novel therapies or treatments. For example, genetic markers associated with age-related macular degeneration (AMD) have revealed that inflammation plays a key role in this common cause of vision loss. Based on these findings, drug treatments that target inflammation are now being investigated for AMD.